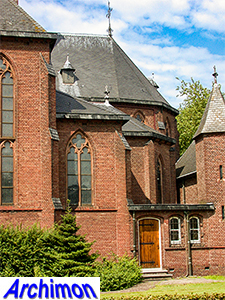 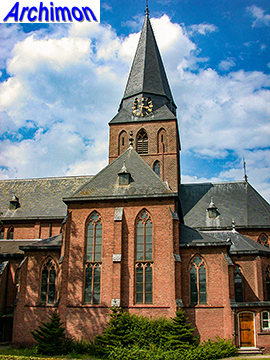 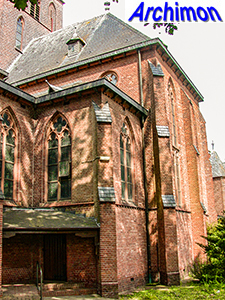 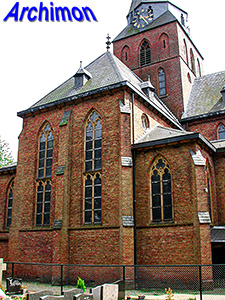 Until 1838 Lonneker had been part of the parish of Enschede, although there had been regular services in a barn church outside the village since 1687. 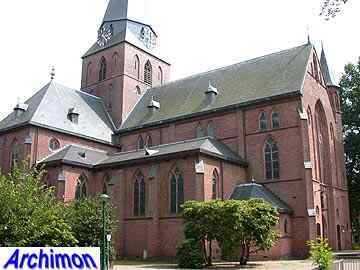 In 1820 finally a true church was built inside the village. 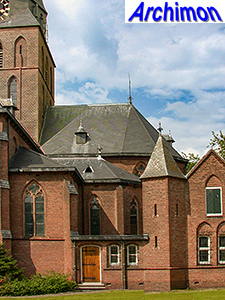 This church, about which little is known, was enlarged in 1845. 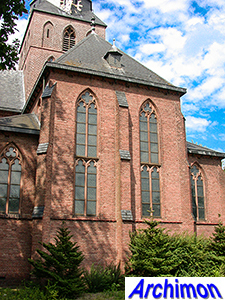 Around 1900 the church was in a bad state and had become too small. 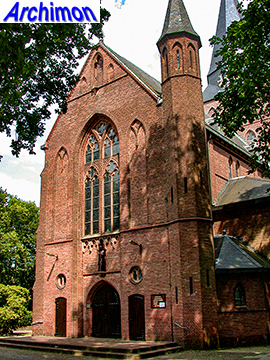 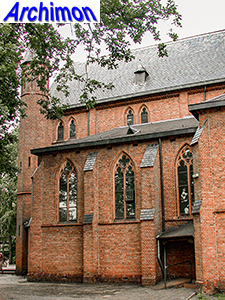 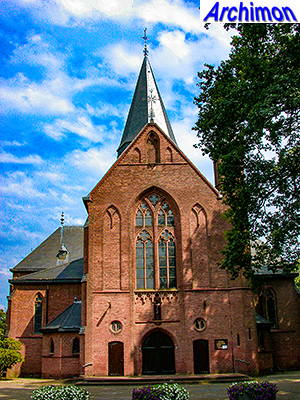 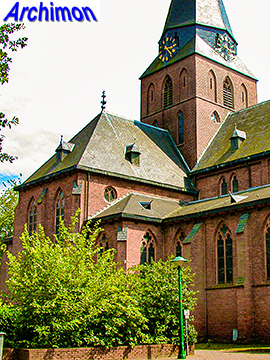 In 1911-1912 the current church was built on the same site, designed by Wolter te Riele. 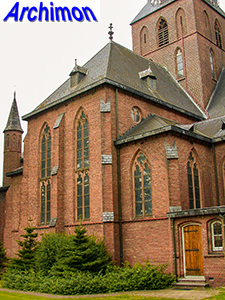 Although it is in neo-Gothic style and is a three-aisled cruciform basilica like so many catholic churches, it has a centralizing ground-plan as was becoming more popular in that period due to the influence of the Liturgic movement, and would reach a height . 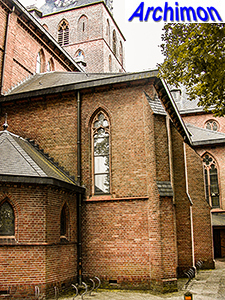 Although the side-aisles are used for seating, space between the pillars is wide, allowing most seated a fairly good view at the altar. 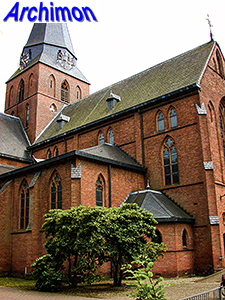 Like the nave, the transept is three aisles wide. 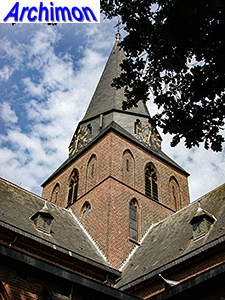 Instead of a conventional tower, the church has a square crossing-tower which illuminates the choir directly under it. 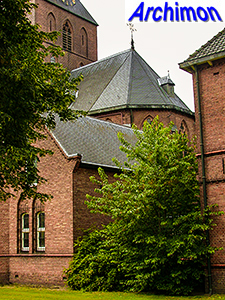 At the front the church only has a polygonal stair-turret. 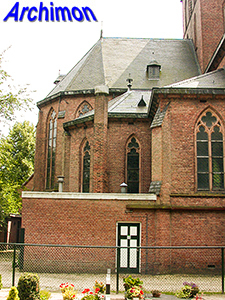 The choir is flanked by lateral chapels on both sides. 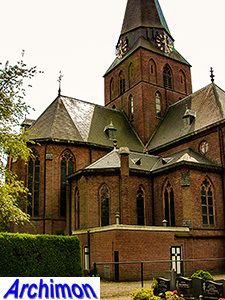 In 1923-1924 Te Riele built the H.H. 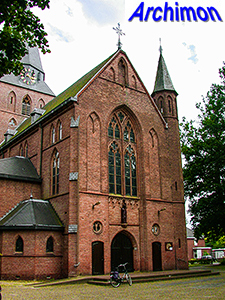 Martelaren van Gorcum in Stampersgat (NB), which is almost identical to this church.